Editor's Note: When I first heard Luka's story I immediately felt for her. When I started to understand more about her journey, I felt for every athlete who has experienced or is currently experiencing the same thing. Post-Concussion Syndrome (PCS) is a syndrome where your concussion symptoms can last for weeks and even months without going away. Unlike a leg or shoulder injury, PCS is not readily visible which can cause people to question an athlete's injury. Check out Part 1 of Luka's story, "I Am An Athlete" and tune in Friday for Part 2 of her journey. Two knee surgeries later, at the age of 19, I suffered back-to-back kicks to the head that sent me down a long, scary tunnel of what’s called post-concussion syndrome (PCS). Scientists and Doctors are still unsure why it happens, but PCS is the blanket term for what happens to people when they don’t recover from a concussion within a few weeks. PCS is associated with unrelenting headaches, nausea, and vertigo, as well as lingering cognitive and emotional deficits. 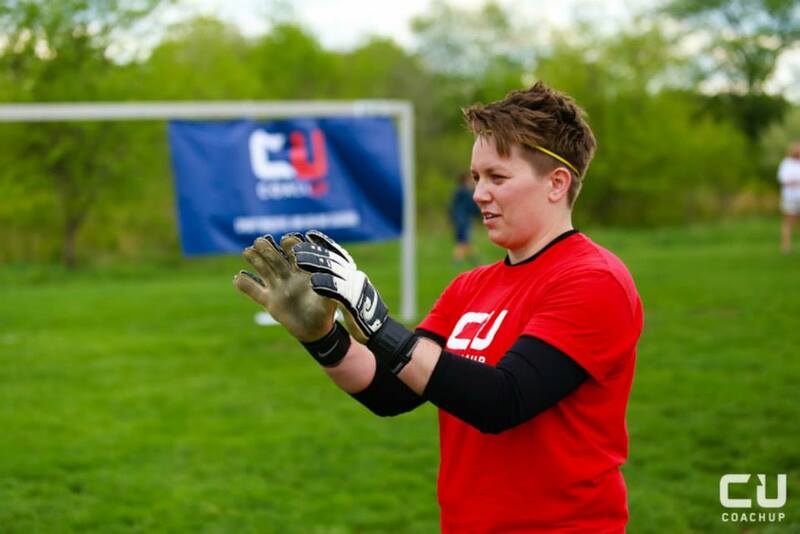 I went from a highly recruited, full-scholarship D-1 goalkeeper to an overmedicated, oversleeping, slug of a human being who couldn’t leave her dorm room for long periods of time without sunglasses on (you can imagine the ridicule). At one point, I even came close to attempting suicide. PCS does that to you. Some people get so fed up with the chronic physical pain and discomfort that they rationally think it may be easier to end their lives. Others, like me at the time, get hit with overwhelming waves of depression that turn irrational thoughts like ending your life into distinct possibilities for reasons I couldn’t understand. The year and a half following those concussions were easily the darkest times I’ve ever experienced. During that time, I worked with therapists who tried to un-train the “go hard or go home” mentality I had internalized growing up as an elite level athlete. I learned mindfulness and acceptance, which were my only choices for treatment alongside prescription cocktails that gave me the sense that my body was an enemy. I grew resentful of my first love, soccer, and anything related to the NCAA. I felt that as soon as I couldn’t compete the NCAA had turned its back on me. When I was no longer part of the athletic community, I was asked to be so critical of sports for what they had done to me. Don’t get me wrong; we should absolutely be critical of sports, especially powerful governing bodies that ignore safety in pursuit of profit. But unlearning my athletic drive was hindering my recovery. I couldn’t accept that my life would be spent curled up in a ball in pain or medicated so heavily that I couldn’t feel anything, not even joy. Then one day, I got fed up with it all, stopped taking my pain medications and anti-depressants.